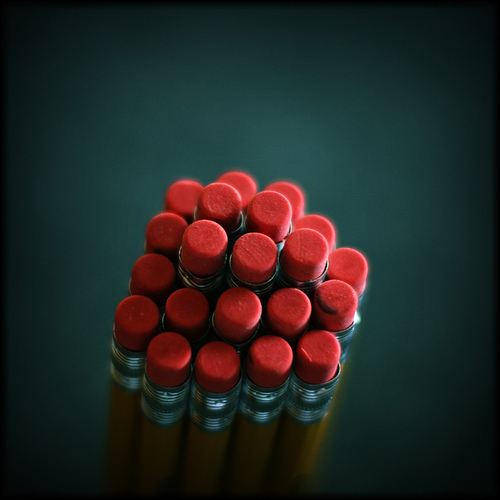 The Abecedarian: Why write about teaching? Teachers are busy people. Sometimes I think we define ourselves that way. To be busy is to be professional, to be wanted, useful and to some extent defended from additional obligations — “I’m too busy”. A standard opening for a workplace conversation in a school is “I know you are very busy but...”. The acknowledgement of others’ overwork is just basic politeness. So why write about teaching? Surely I am too busy? Or alternatively – if I do have the spare time – don’t I risk an admission to my friends and colleagues that I am not actually as busy as I ought to be? I want to get better. That is why writing about the process of teaching is important enough that I’m willing to steal a little time from my business (busy-ness?) to do it. The experience of teaching is the daily experience of failure. I want to attack the fundamental causes of my failure to reach my students, to improve by focussing on and removing the sources of my failure. You should also not underestimate the power of the act of writing itself. I did not write until I became a doctor. But once I became a doctor, I found I needed to write...You can lose your larger sense of purpose. But writing lets you step back and think through a problem. Even the angriest rant forces the writer to achieve a degree of thoughtfulness. I agree. Teaching must be constantly examined to be improved upon. We need a community around us to do that examination. Teaching is not a simple job. It is a complex, crafty response to any number of unique situations. We try to guess what is in our students’ heads and then we guess what will move them in the direction we are hoping for. Great teachers are not born. Rather, improvement in teaching requires constant examination of practices and their effects. Writing about teaching will force me to pin my attitudes down and gain a full understanding of what I really think. Publishing those attitudes will see them challenged and tested by my professional colleagues. And hopefully I will get better: smarter at making people smarter. So I’m planning on writing. A certain degree of discipline is required, so here is my public promise. If you come back here you’ll find 600 words a week where I examine what I think is truly important in classroom practice. I’ll be thinking and writing and then taking it down to a manageable size. If you read it, it will give me added purpose. If you comment on it, I’ll have a better connection with others thinking about education. If you challenge my thinking, you will likely improve my understanding of the work that I do. Excellent! I should do similar - but maybe not about teaching, or being a lawyer. I will think about it. Ever since, I hear people ask other people what they think music is or why they think it's important. Pop musicians will, unconvincingly, say it's about changing the world. Music purists will say it's an in depth intellectual study that takes hours upon hours, years upon years to understand. I would say now, in addition to Dad's keys in his pocket, it's a way of joining the conversation, much like writing. So I'm glad to read your blog, and I'll be glad to contribute to the conversation where I can.